[5 mins. 53 secs.] Filmwax Radio Episode 427 brings back two friends to the podcast. The first, Ramona Diaz ("Imelda", "Don't Stop Believin': Everyman's Journey"), is back with a new documentary about the world's busiest maternity ward called "Motherland". The film also takes us into one of the world’s poorest and most populous countries: the Philippines. The film’s viewer, like an unseen outsider dropped unobtrusively into the hospital’s stream of activity, passes through hallways, enters rooms and listens in on conversations. At first, the surrounding people are strangers. But as the film continues, it's absorbingly intimate, rendering the women at the heart of the story increasingly familiar. "Motherland", which premiered at Sundance, is currently screening at Cinema Village in New York City and opens at the Laemmle Monica Center on September 22nd before going wider. A POV broadcast is also scheduled for later this fall. [40 mins.] 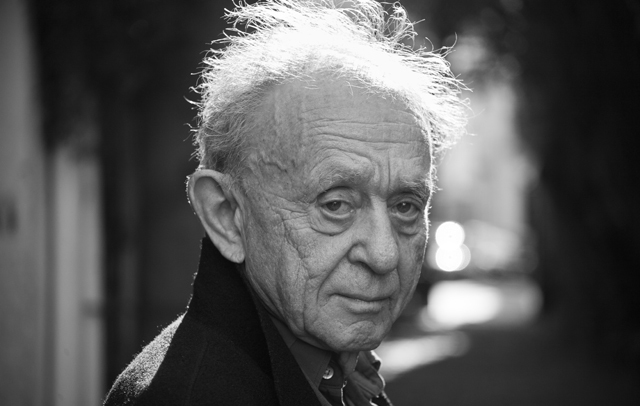 Up next, "Frederick Wiseman" ("Titicut Follies", "High School") returns to discuss his latest documentary "Ex Libris: The New York Public Library". With this film, Wiseman turns his incisive vision behind the scenes of one of the world’s greatest institutions of learning, capturing the vast programmatic scope of NYC’s library system. The NYPL is blessed with uniformly passionate staff and deeply devoted, appreciative bibliophiles and beneficiaries across its 92 branches. The film opens at Film Forum in New York City, on Wednesday, September 13th, for a 2-week run before opening widely. Also, there's a couple of days left of the second installment of a complete retrospective of Wiseman's films at Film Forum. There will be a third installment some time in 2018.